In the summer of 1898, reporter Emma Cross investigates a shocking death among the bright lights of Newport's high society . . . After a disappointing year as a society columnist for the Herald and staying with her more well-heeled Vanderbilt relatives in New York City, Emma has returned to the salty air, glittering ocean vistas, and grand stately mansions of Newport, Rhode Island, more determined than ever to report on hard news. But for now she's covering the social event of the season at Ochre Court, a coming-out ball designed to showcase Cleo Cooper-Smith, who will be literally on display, fittingly as Cleopatra, in an elaborate tableau vivant. Recently installed modern electricity will allow Miss Cooper-Smith to truly shine. But as the deb ascends to her place of honor, the ballroom is plunged into darkness. Alyssa Maxwell is the author of The Gilded Newport Mysteries and A Lady and Lady's Maid Mysteries. She has worked in publishing as a reference book editor, ghost writer, and fiction editor, but knew from an early age that she wanted to be a novelist. Growing up in New England and traveling to Great Britain and Ireland fueled a passion for history, while a love of puzzles of all kinds drew her to the mystery genre. She and her husband have make their home in South Florida. 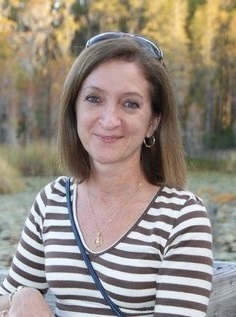 She is a member of the Mystery Writers of America, the Florida Romance Writers, Sisters in Crime, and Novelists Inc. You can learn more about Alyssa and her books, and find her social media links, at www.alyssamaxwell.com.